As of macOS 10.12.4, released on Monday, a new keystroke combination at launch will allow Macs to netboot, and download the latest OS compatible with a computer when performing a recovery, potentially saving time and bandwidth. Users holding Command-Option-R at startup will force a netboot, and will install the latest version of the operating system, up to date with all patches. 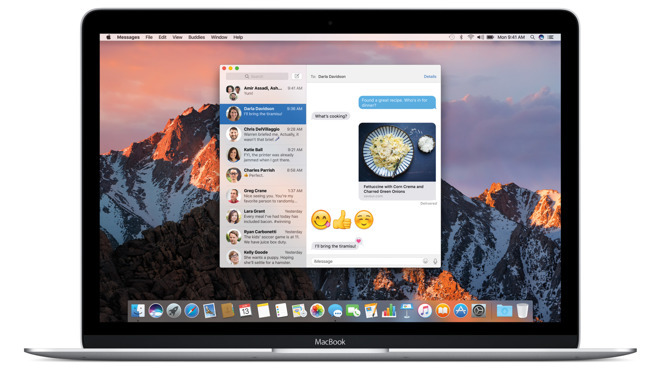 The previous recovery method, still done by hitting Command-R during startup, restores a Mac to the original version of macOS/OS X that that the machine shipped with, blogger Thomas Brand noted on Thursday. The original behavior had been in place since OS X Lion, which shipped in July 2011. Apple appears to be implementing a strategy similar to iOS reinstalls, but retaining flexibility. Once updated, iPhones, iPads, and iPods typically can't be restored to a previous version of iOS, except during a brief window when Apple is signing both new and old releases in case of technical glitches. With iOS, some users have complained of slowdowns after major updates. In fact Apple has faced multiple lawsuits over the issue, arguing that company knowingly ignored compatibility issues since it could push people into buying newer hardware. Monday's releases included iOS 10.3, macOS Sierra 10.12.4, tvOS 10.2, and watchOS 3.2. Notable features for each include Find my Airpods on iOS 10.3, Night Shift on macOS Sierra 10.12.4, Theater Mode on watchOS 3.2, and better device management on tvOS 10.2.